If you’re in your twenties, you may not have even started to think about the skin ageing process. However, one thing that can be said about the skin is that it can be very unpredictable, and many factors can contribute to the skin ageing process without you even realising- including daily sun exposure (even in the UK! ), harsh weather conditions, late nights and a busy or stressful lifestyle. This is why it’s so important to consider how you’re going to launch your battle against the ageing process before the signs even start to appear. Although dealing with the above factors will help to make a significant difference, you also need to think about adjusting your skin care regime. During childhood and teenage years, a simple wash with soap and water is sufficient for most people. However, as the years pass, the skin’s needs change dramatically. Keeping skin both hydrated and protected throughout the day is a must, and luckily there are some great products on the market that can help you with this. 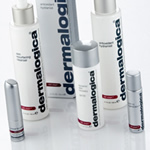 Dermalogica have a range of products with fabulous anti-ageing properties to suit all skin types, which will put you firmly on the right track to fighting those ever-annoying fine lines.